Though all of us can appreciate the sense of rejuvenation brought about by a good night’s sleep, not everyone realizes just how significant a role sleeping posture also plays in spinal health and overall well-being. Proper sleep postures can help alleviate some health conditions, while improper ones can exacerbate others. Thus, it is very important to gain an understanding of the optimal position for your specific needs. In addition, paying close attention to sleep position and taking corrective actions where needed can facilitate better spinal alignment, something from which all of us can greatly benefit. At Mattress World Northwest, we pride ourselves on providing knowledgeable guidance to individuals in Portland, Canby, Salem and throughout Oregon and helping them get the best sleep possible each and every night. Everyone understands the importance of good posture while walking, standing and even sitting, but it is equally vital to work on achieving good posture while asleep. This is because ligaments and muscles throughout the back need to relax and self-heal during those valuable hours, and maintaining healthy position during slumber makes that process easier. Further, a beneficial sleep posture can help sufferers of certain types of chronic conditions gain relief from symptoms and secure the restfulness that has perhaps been elusive for some time. Individuals with digestive concerns often find that sleeping in the so-called “freefall” posture provides noticeable symptom relief. This entails lying on the stomach with the hands held up around a pillow with the head shifted to one side. Those who struggle with nighttime leg cramps and restless leg syndrome often find that adopting a fetal position and grasping onto the legs ameliorates their discomfort somewhat. It should be noted, however, that though personal preference often dictates the manner in which we generally fall asleep, some sleep postures should be avoided due to the risks they pose. The “soldier” position, in which an individual sleeps on their back with arms placed at each side can produce unpleasant and disruptive snoring, as can the “starfish” sleep posture in which the arms are drawn up and out to the sides. Back sleepers also run the risk of exacerbating the already dangerous condition known as obstructive sleep apnea, which is characterized by repeated, brief cessations of breathing. Stomach sleeping is thought to ease this hazard somewhat, though the downside is that the effort required to breathe while in this position may result in undue twisting and strain on the neck muscles. Side sleepers whose mattresses are of lesser quality have been found to experience muscle imbalance and chronic pain, particularly if they fail to alternate sides with regularity. Also of concern to many is a recent study in which it was asserted that epileptic individuals who sleep on their stomachs are at greater risk of dying unexpectedly during slumber than they would otherwise be. Clearly, taking an individualized look at your specific health needs and determining a safe and effective position is essential. In order to attain optimal alignment during sleep, make an effort to keep the spine in as neutral a position as possible. 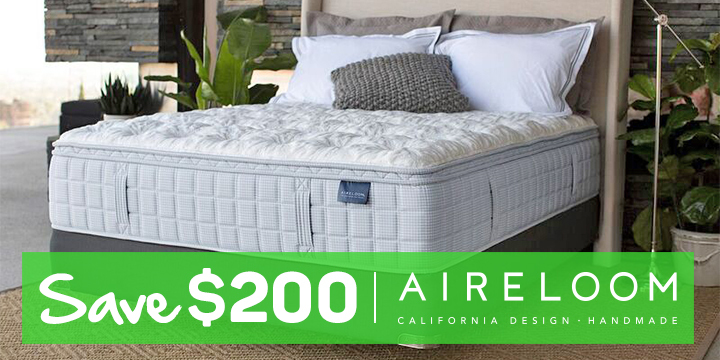 This can be done by changing your mattress type, adjusting your regular positioning or by making use of pillows. Adopting a side sleeping posture can help distribute weight more evenly across the broadest area of the body. This reduces pressure points, lessens pressure on the back and helps keep the spine in alignment. Further, it is useful to alternate sides when possible in order to prevent muscle pain and weight imbalance. To ensure ideal alignment, consider placing a pillow between the knees to create a linear orientation of the spine, hips and pelvis. Head pillow style, size and placement can also make a significant difference in spinal alignment and therefore overall health and sleep quality. Try to keep your pillow placed directly beneath the neck and head, rather than beneath the shoulders. Back sleepers need to ensure that their pillow is thick enough to fill the entire gap between the mattress and the head so that a neutral sleep posture can be maintained. Such individuals may also benefit from placing a smaller pillow beneath the backs of their knees to eliminate undue strain on the spine. Side sleepers may need additional pillow thickness to accomplish this, and should shop accordingly. Stomach sleepers are likely to experience greater stress on the spine, but a pillow placed beneath the pelvis and stomach can help them reclaim proper alignment. Ultimately, the right pillow will support your neck’s natural curvature, provide a high degree of comfort and keep the neck in light with your lower back and chest. Sleeping positions and preferences are very personal things and call for a completely individual approach. Purchasing the right mattress and pillow combination to facilitate optimal sleep positioning is therefore a process deserving of substantial time and attention. 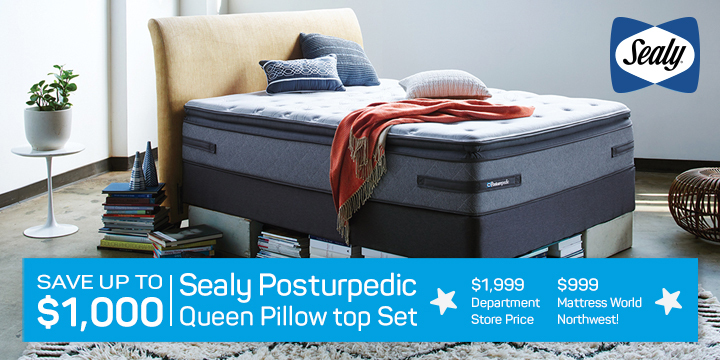 The sleep specialists at Mattress World Northwest understand how crucial your nightly sleep experience is to your overall health and wellness, and we stand ready to help you make an educated decisions. 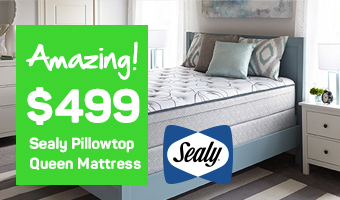 As Oregon’s leading mattress retailer, we invite you to visit one of our 11 convenient locations, including showrooms in Portland, Salem, Canby, Clackamas, Gresham, Beaverton and Wilsonville.